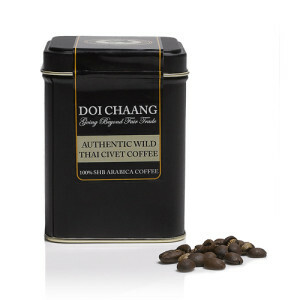 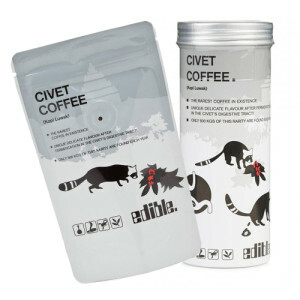 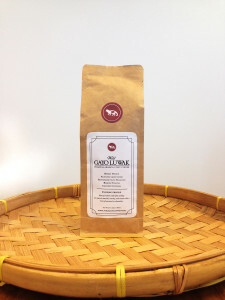 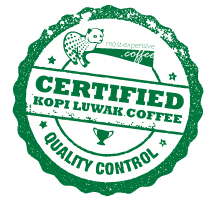 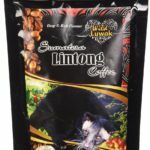 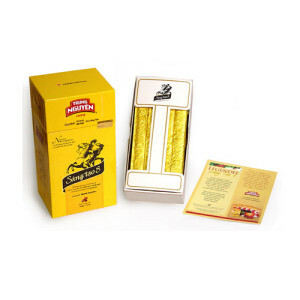 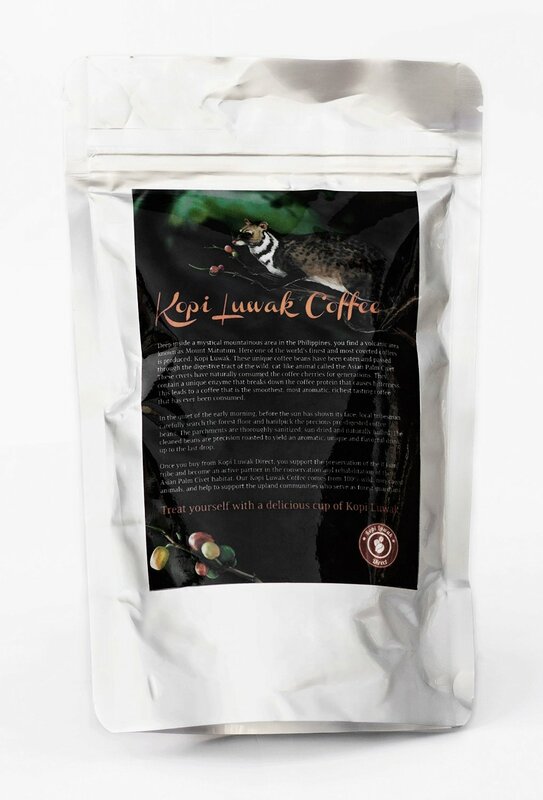 ild kopi luwak is collected from local farmers in Indonesia or the Philippines. 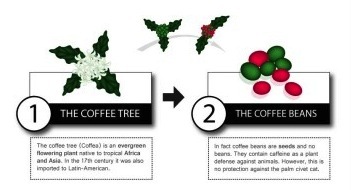 They separate the coffee beans from the feces, wash them and then dry them in the sun. 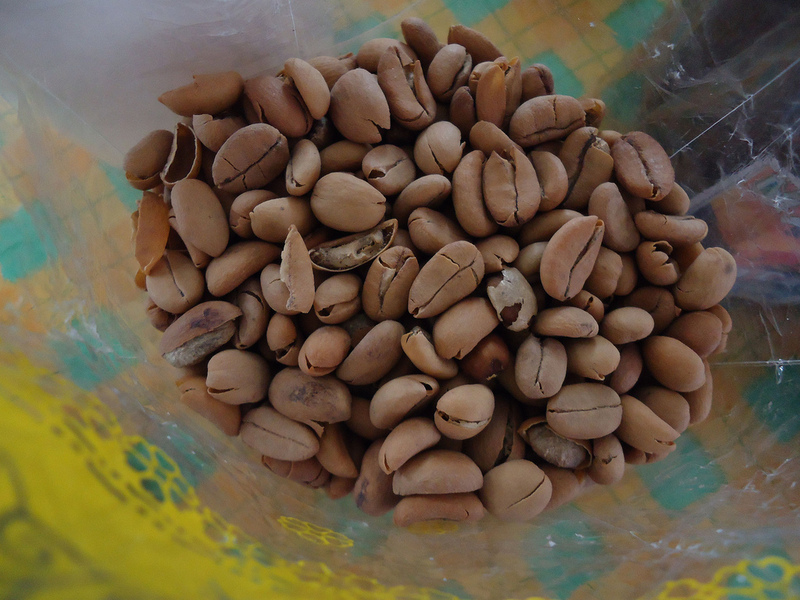 Once the beans are dry enough to remove the outer skin or parchment easily, they are put into a wooden mortar and pounded with a pestle. 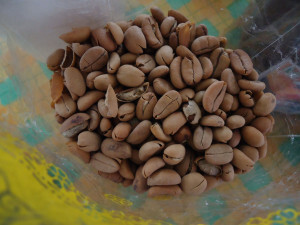 The beans are not affected by the pounding, but the skin will break apart, making it possible to easily remove the coffee beans. 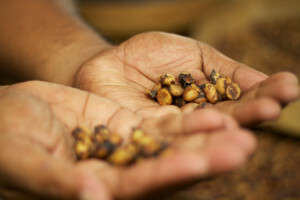 In the next step, the beans are hand-sorted to remove any damaged beans. 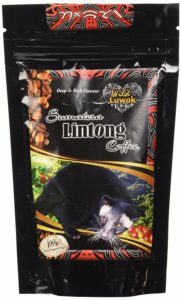 Now the remaining kopi luwak beans are ready for roasting. 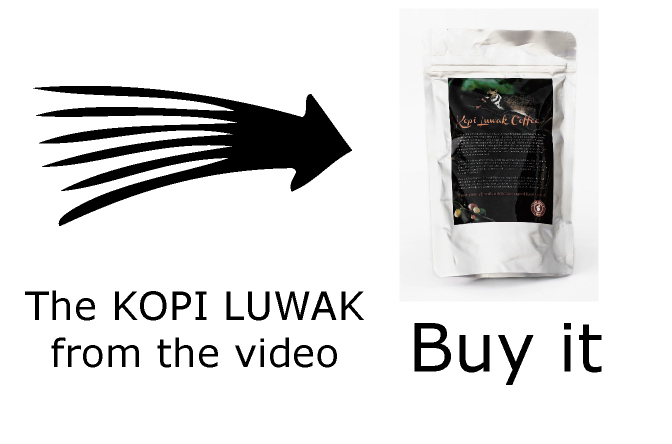 Raw Kopi Luwak loses much weight during the different stages of this process. 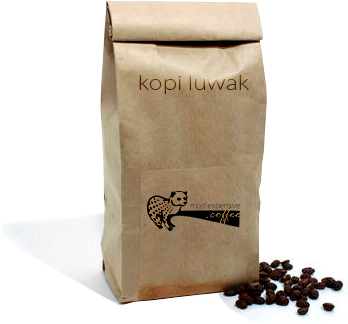 10 kilograms, or 22 lbs, of raw kopi luwak will not yield more than 2 kgs, or 4.4 lbs, of roasted kopi luwak beans. 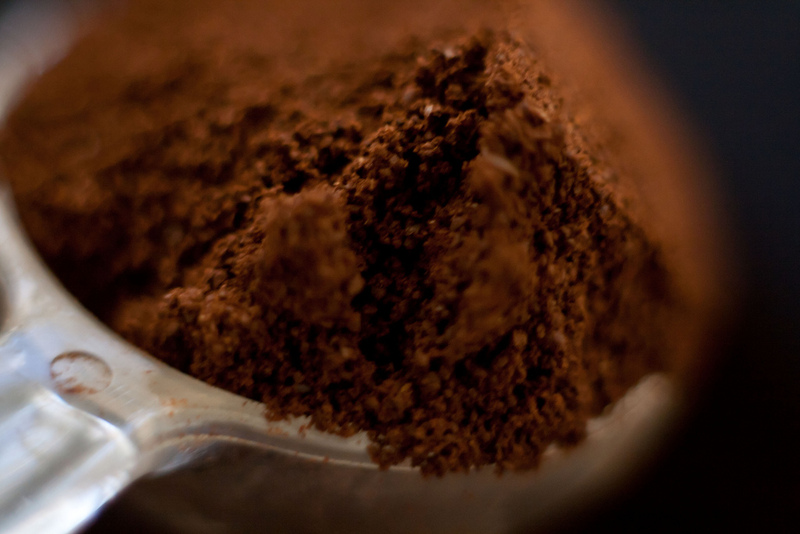 Photo by © shankar s.